The only thing more fun than designing for kids is designing books for kids that help them grow in knowing God. This book, from ZonderKidz, offers 365 fun sports facts, stories, and spiritual lessons. It’s filled with fascinating facts and invaluable information on just about every type of athlete and sport you can imagine. Most importantly, it helps kids discover points and principles from the Bible and sports which apply to competition and all of life. Design Corps designed the cover and provided multiple concepts for the interior. 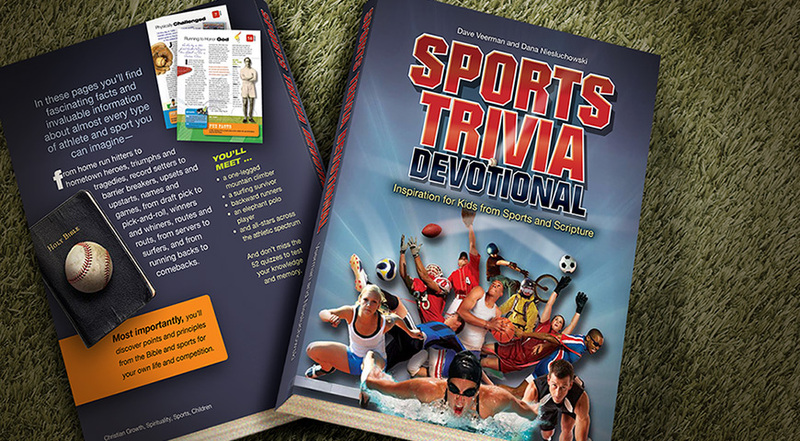 Design Corps worked with the Livingstone Corporation in developing interior and cover designs for The Sports Trivia Devotional. The selected interior was usedas a springboard for multiple cover designs, developing final art, and assisting with production questions and choices.